Check-out time is at 12 noon. Late departures are available until 4pm upon request for an additional charge. Guest must check-in before 11pm. Please phone ahead if you will arrive later than 11pm at the hotel. Is there somewhere I can leave my bag if I arrive early or need to collect it after I check-out? Yes, you can leave your luggage with our receptionists. Monday to Friday from 7am – 10am. I booked Bed only. How much is it for Breakfast? The full Vitality Breakfast is €11 per person. The Kids Breakfast (under 12) is €6 per child. I am staying on a Sunday. Do you serve food on Sundays? The hotel offers breakfast from 8am to 11am, Lunch from 12.30pm to 3pm and an Early Bird/A La Carte menu from 5.30pm to 8pm on Sundays. Children are allowed until 6.45pm. Please note that all kids must be supervised under the age of 14 at all time by a parent in the pool. Do I need to pay for using the Club Vitae Leisure Centre? The use of the leisure facilities is complimentary to all guests staying in the hotel. The leisure centre offers a pool, sauna, steam rooms, Jacuzzi and fully equipped gym. How deep is the Pool in Club Vitae Leisure Centre? The pool depth is 1.2 meters. Yes, the Body & Soul Therapy rooms are located on the first floor of the hotel. They offer a variety of complementary holistic treatments and also a range of beauty treatments tailored to suit your needs. What are the opening times from the spa area? The opening times are Tuesday to Saturday from 10am – 6pm. Should you require a Sunday appointment, advance booking is required with a minimum of four people. You can contact the spa team directly on +353 (0)57 869 5933. Yes. We have a kids’ pool and family bedrooms. Also, our Crafty Kids Club is available during school holidays. Do you offer a kids club? Yes, our Crafty Kids Club is available during school holidays from 6.30pm to 8pm each evening. Do you have larger family rooms for families with more than 2 kids? Yes, we offer larger family rooms which include 2 doubles and 1 single bed. These rooms are offered at a supplement. Please call the hotel directly on +353 (0)57 869 5900 to discuss. Yes, we offer family rooms in the hotel which have 1 double and 2 single beds. We are happy to negotiate a rate for interconnecting rooms. Please contact us directly to discuss +353 (0)57 8695900. Are there babysitting services available? Yes, we offer babysitting services. Please ask when making your reservation. Can I get a cot for my child? Yes, cots are available. As there is a limited availability, please note this at the time of your reservation. Yes, hairdryers are available in all bedrooms for complimentary guest use. Yes, complimentary high-speed WiFi is available throughout the hotel and bedrooms. No, only guide dogs are allowed. No, the hotel operates a strict non-smoking policy. Yes, you can leave your laundry with us and we’ll take care of it. Please note that charges do apply. Is there parking near the Hotel? Yes, we offer secure complimentary car parking at the hotel with space for approximately 300 cars. How much do I pay for parking? Car parking is complimentary at the hotel. Does the hotel offer a Shuttle Bus or Taxi Service to Electric Picnic? We can arrange a taxi to Electric Picnic for you. Please get in touch with our reception team. How Far is the Hotel from the Curragh Racecourse? The hotel is located 41km from the Curragh Racecourse. Take exit 12 off the M7 Motorway. How Far is Kildare Village Shopping Outlet from the hotel? 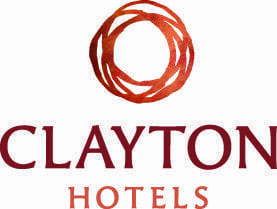 The hotel is located 35km from Kildare Village, just off exit 13 on the M7 Motorway. We offer guests a discount voucher which entitles you to 10% off most stores in the Village. How far is the Hotel from Portlaoise train station? The hotel is located 3.5km from Portlaoise train station. A taxi from the train station will cost approximately €6 – €8. How far is the hotel from Portlaoise town centre? Maldron Hotel Portlaoise is 2km from the town centre away. How Far is it to Laois Shopping Centre? The hotel is located just 2km from Laois Shopping Centre. Which exit off the M7 motorway is the hotel located? Exit 17 off the M7 Motorway. What are the public transport links to Portlaoise town centre? How do I get to your hotel when travelling by Ferry? For information on route look at AA Ireland. How do I get to your hotel when travelling by plane? Yes, Maldron Hotel Portlaoise offers free cancellation up to 2pm on the day of arrival. Some special offers and key dates outlined in the terms and conditions may specify a special cancellation policy applicable to that offer or date. These terms will be outlined in the terms & conditions. Yes, to make a booking, a valid credit card is required to guarantee your reservation. Please note credit/debit cards may be pre-authorised prior to arrival. You will be required to authorise your credit card upon check-in but this is for security purposes only and you can choose your preferred payment option on departure. Please note pre-authorisation cannot be completed on debit cards and payment will be required on check-in if a credit card is not available. Bookings require a credit card for guarantee unless in cases where this is otherwise stated. For some special offers and specific dates, full payment is required at time of booking but these terms will be outlined in the special offer terms & conditions. Enjoy a peaceful night’s sleep in our standard room. Relax in a hot bath in the en suite bathroom complete with complimentary toiletries. 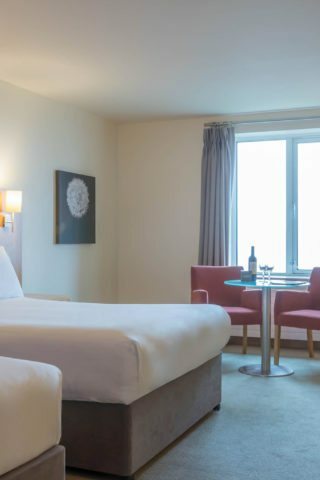 Standard rooms consist of a double queen size bed and single bed so if you are visiting for business or pleasure, you can rest assured , our standard rooms are the ideal choice.